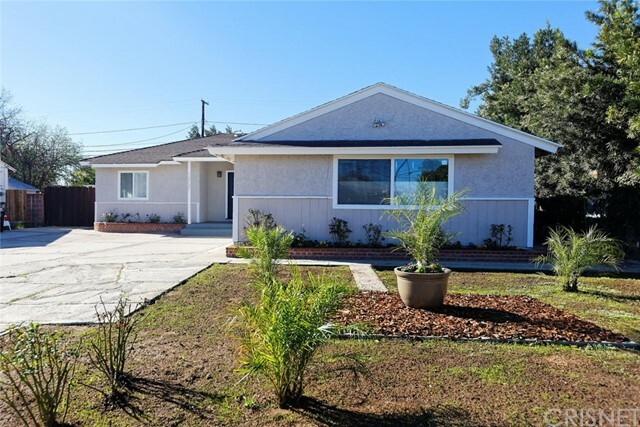 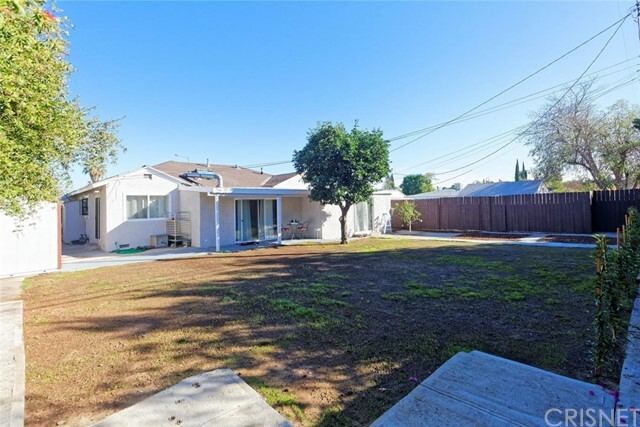 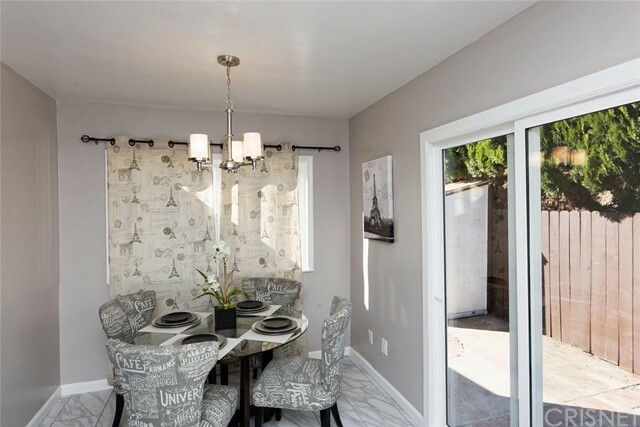 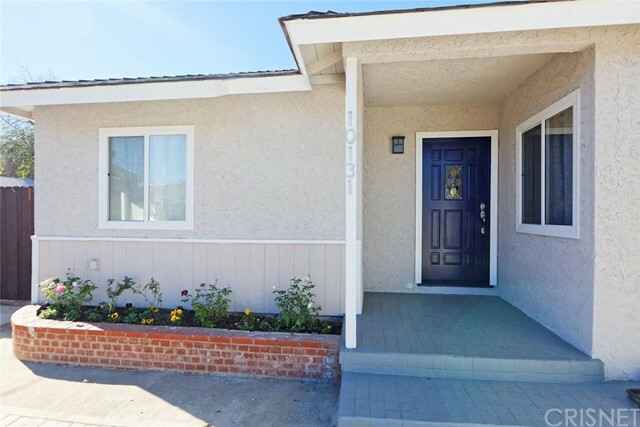 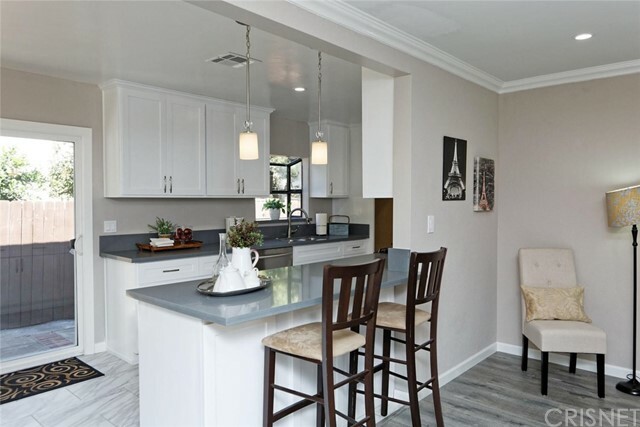 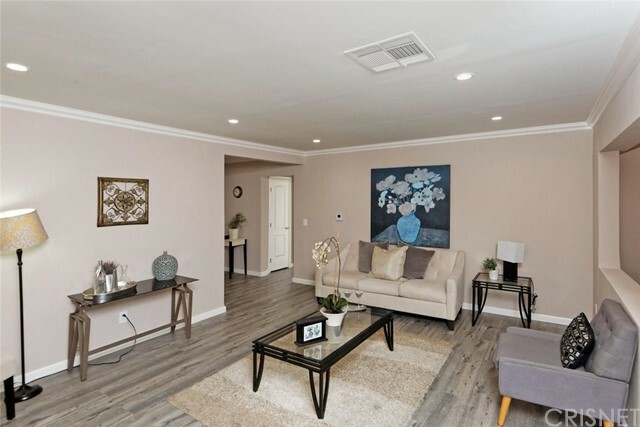 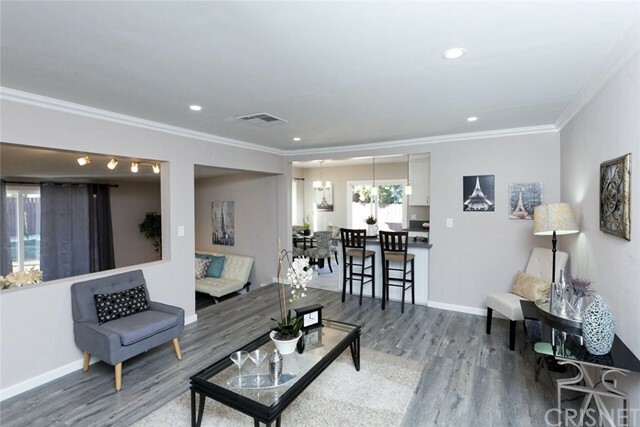 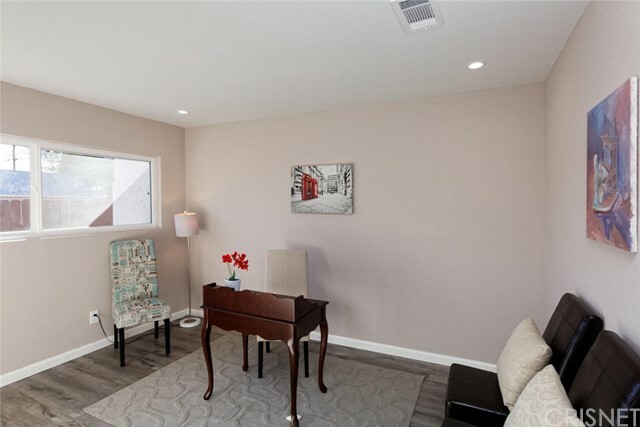 Welcome home to this gorgeous remodel located in a wonderful pocket of Granada Hills. 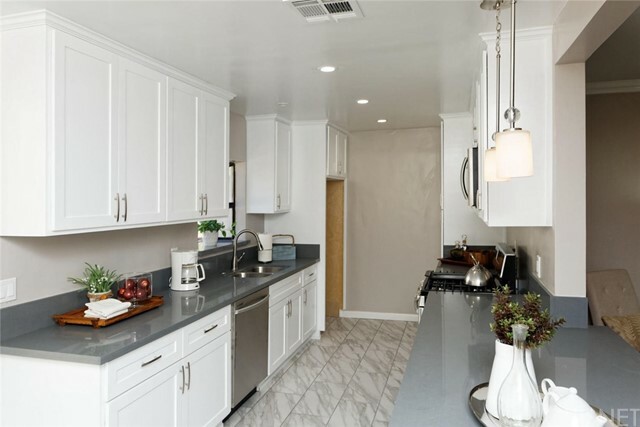 The galley-style kitchen is completely custom with pull out drawers, breakfast bar, spacious pantry, quartz counters and new appliances. 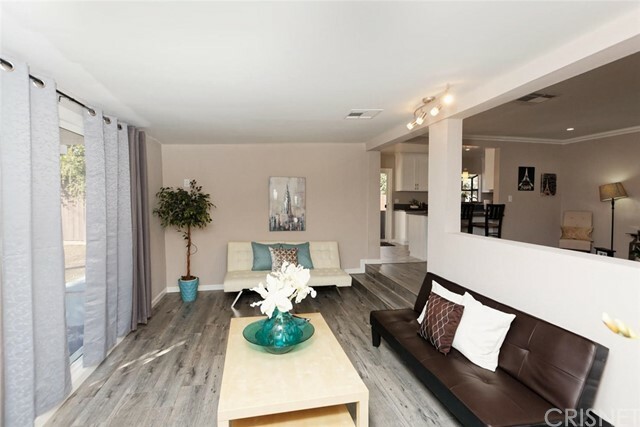 New laminate flooring, baseboards, and recessed lighting throughout the open floor plan. 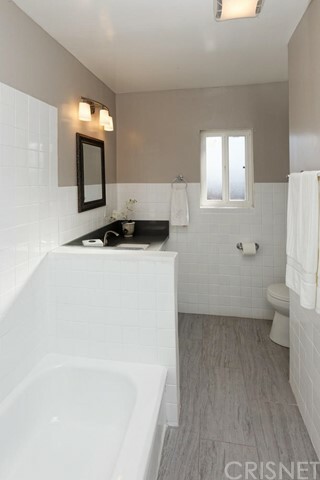 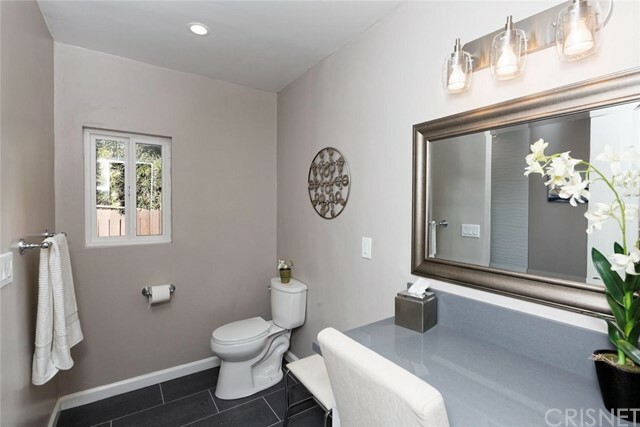 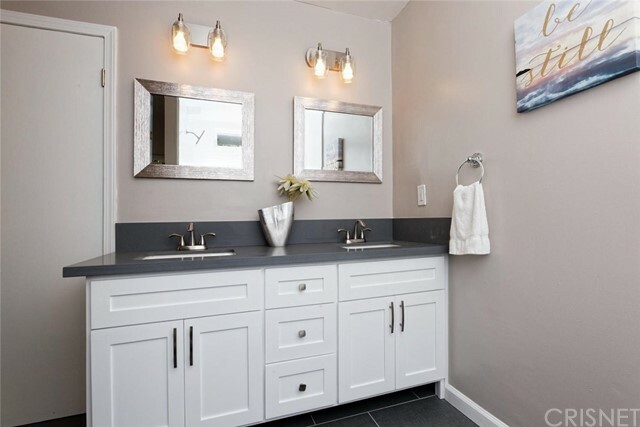 The bathrooms feature new tile flooring, toilets and custom vanities. 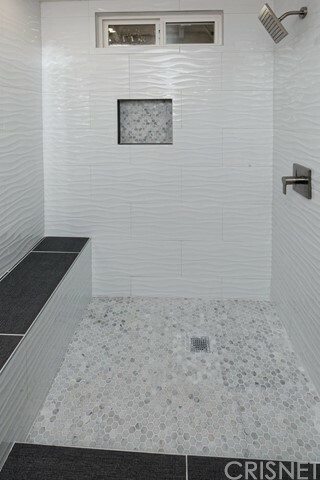 Master bath has his and hers sinks, blue tooth speakers, separate vanity and large custom-tiled stall shower. 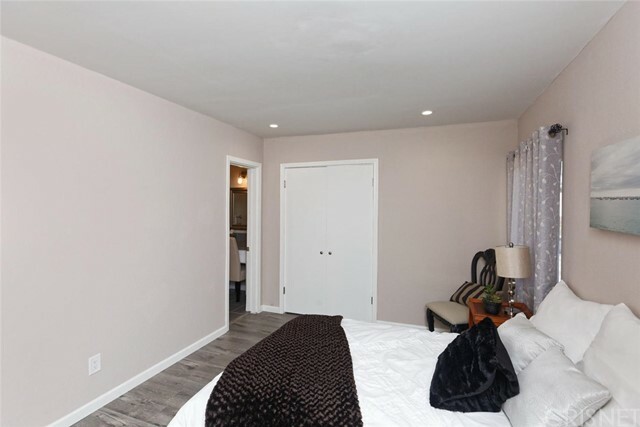 4 bedrooms, including one off of the living room, which would be perfect for in-laws or guest quarters. 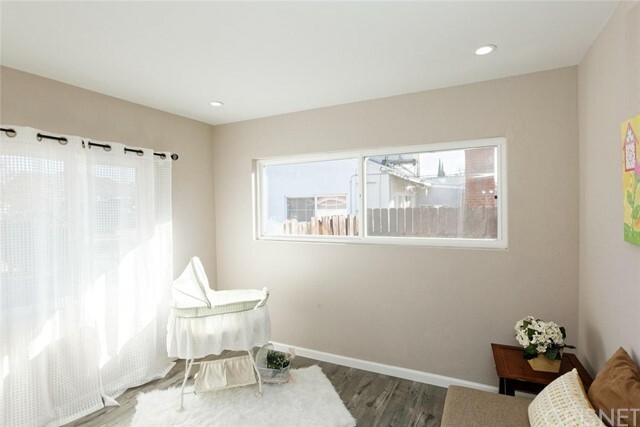 The home gets wonderful natural light and has new dual pane windows throughout. 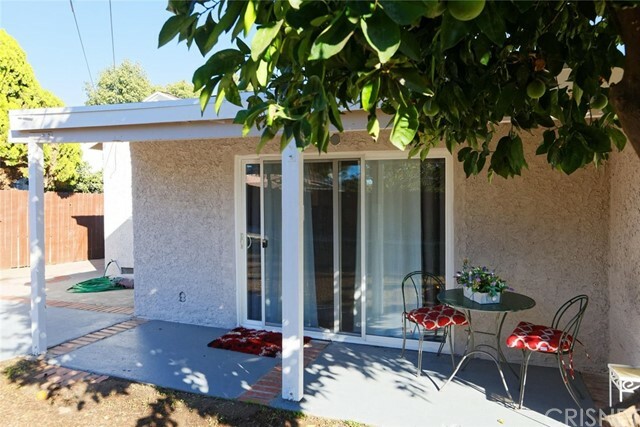 New paint inside and out, as well as new AC and heater and new electric panel. 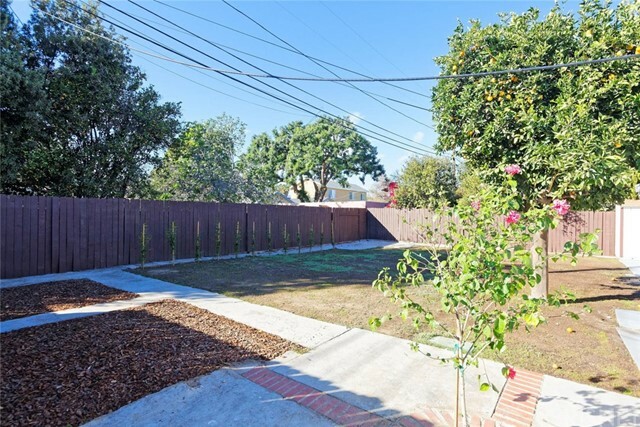 The spacious backyard, along with the front yard, has been recently landscaped and seeded. 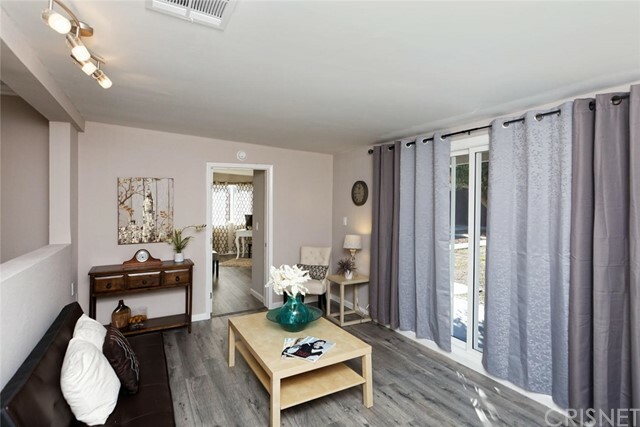 The covered patio is perfect for outdoor entertaining and the shed unit and the 2 car garage provide ample storage space. 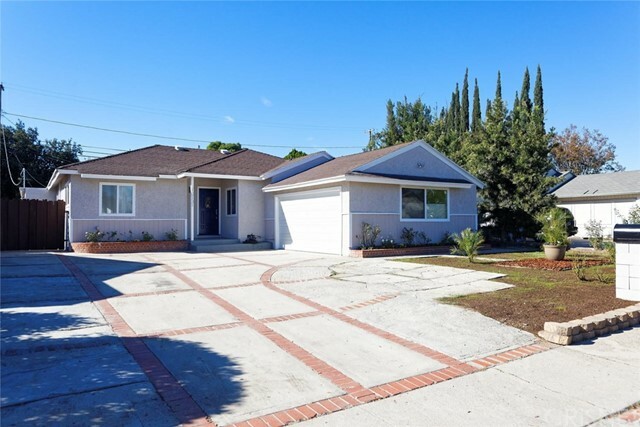 Possible RV parking in the large driveway. 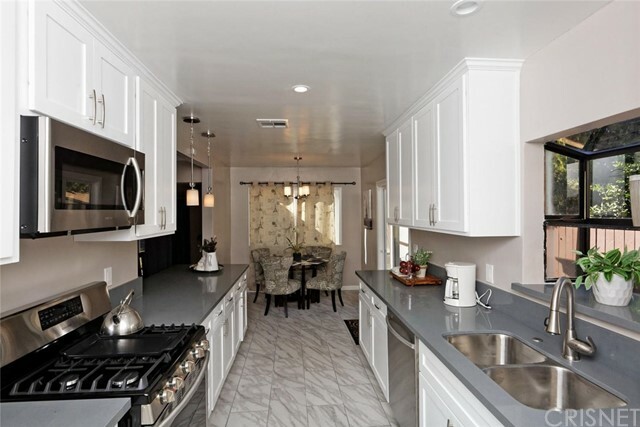 This home has too many extras to list, you MUST see it in person!